ONE Simple charm necklace, charm jewelry, charm jewellery, graduation necklace, graduation gift, life is a journey, FREE card. IF you would like a free card with a quote on it, please leave the wording on checkout. If not wording is left, we will choose one of our magical premade cards for you. Floating pearl necklace, Swarovski pearl necklace, Coworker gift, Graduation gift, teacher gift, Corporate gift, Bridesmaid gift. 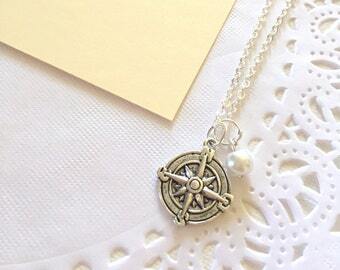 Compass charm necklace, charm necklace, encouragement jewelry, inspiration necklace. FREE card. Smile. Sparkle. Shine. Star, washer, handstamped necklace. Graduation, motivational, encouragement jewelry. Imagine. Believe. Achieve. Star, washer, handstamped necklace. Graduation, motivational, encouragement jewelry. 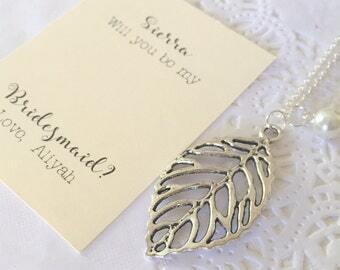 Ask Bridesmaids bridal wedding gift. Leaf necklace ivory pearl. CHOOSE your leaf style. Key chain, heart key, bridesmaid, best man, groomsmen gifts, FREE Personalized Notecards and Jewelry box. 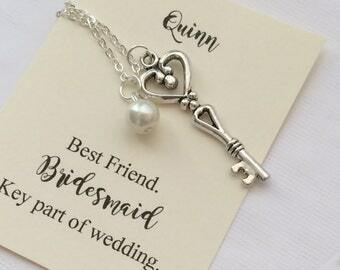 Skeleton Key, pearl, initial, personalized, bridesmaid, Thank You Gifts, Wedding party Necklace. FREE Personalized Notecards, jewelry box. Bridesmaid, starfish, ocean inspired, destination wedding, bridal party gift. FREE personalized notecard and jewelry box. 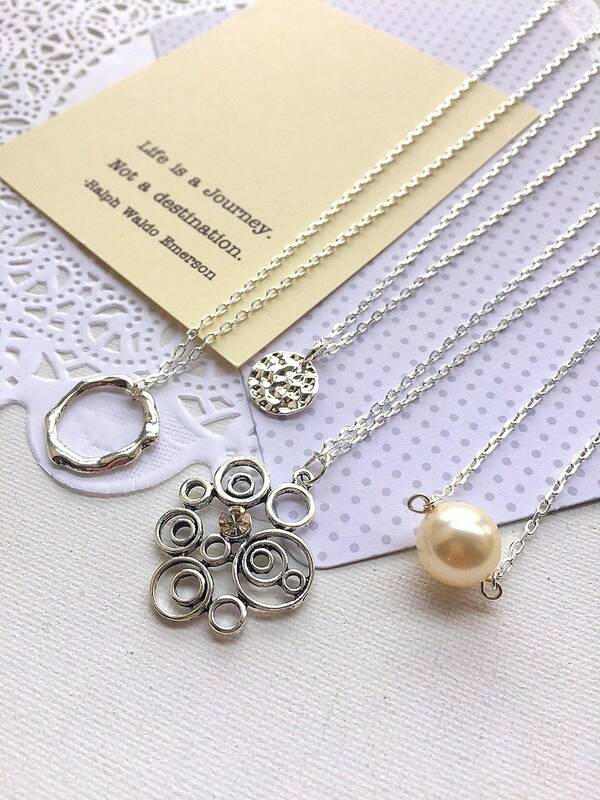 Bridesmaid, handstamped, personalized, anchor charm, necklace. Comes with FREE personalized Notecard, Jewelry Box.